The Guitar Column: Jeff Beck To Release New Album! 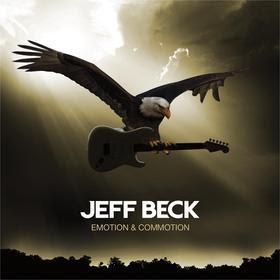 Jeff Beck has never been prolific with his studio releases -- it's been 7 years since 2003's eponymously-titled Jeff. The upcoming release of Emotion & Commotion on April 13 will undoubtedly come as a welcome surprise for fans hankering for the Strat-meister's new material. Can someone please stand up and say, "It's about bloody time!" And it's an ambitious project too, for one of rock's most influential guitarists. Together with his usual stellar band of Vinnie Colaiuta, Jason Rebello and Tal Wilkenfeld, Beck also performs with a 64-piece orchestra on several cuts. Also making a guest appearance on two tracks is sultry-voiced pop songstress Joss Stone. That should ensure some decent radio airplay. Before embarking on his world tour for Emotion & Commotion that will include South Korea, Hong Kong, Japan, Australia and the US, Beck will also be playing a few shows with Eric Clapton in London, New York, Toronto and Montreal in February. Quite a leap for Jeff Beck who by all accounts prefers to be holed-up in his garage building hot-rod cars or slicing carrots in his kitchen.